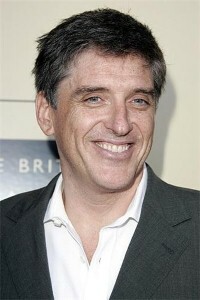 Late night funnyman Craig Ferguson is pushing 50, but he recently joined the ranks of new celebrity dads, as the 48-year-old host of CBS' The Late Late Show just welcomed a new addition to his family. Megan Wallace-Cunningham, Ferguson's wife gave birth to the couple's first child – a boy, People Magazine reports. "Holy crackers! Mrs F is pregnant. How did that happen? …oh yeah I know how." Ferguson is no stranger to fatherhood, however. The newborn is the second child for the talk show host, who has a 9-year-old son, Milo Hamish, whom he had through a previous marriage. "Everyone is happy and healthy," the rep told the publication. "The family is doing great, everybody's perfect." Before landing the job following David Letterman in 2005, Ferguson was perhaps best known as Drew Carey's scatterbrained boss on The Drew Carey Show.